Kessell, John L , “Mission of Sorrows: Jesuit Guevavi and the Pimas, 1691-1767 ,” Arizona 100: Essential Books for the Centennial, accessed April 21, 2019, http://speccoll.library.arizona.edu/online-exhibits-dynamic/az100/items/show/279. This book’s narrow focus is its strength. In his in-depth study of mission Los Santos Angeles de Guevavi, and to a lesser extent Tumacácori, Kessell provides much biographical data about the many lesser-known missionaries that served among the Pimas. 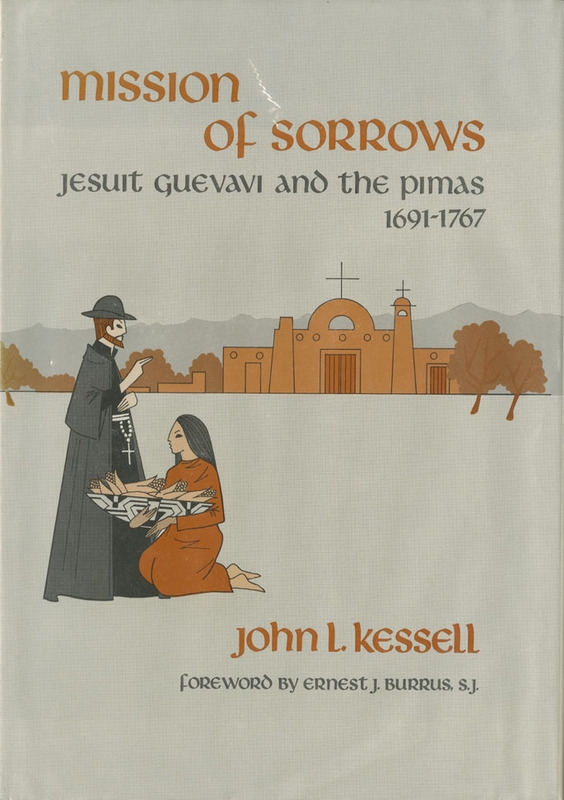 In effect, Kessell has written a knowledgeable and eminently readable history of Jesuit mission activity in southern Arizona. xvi, 224 p. illus., facsims., maps. 27 cm.